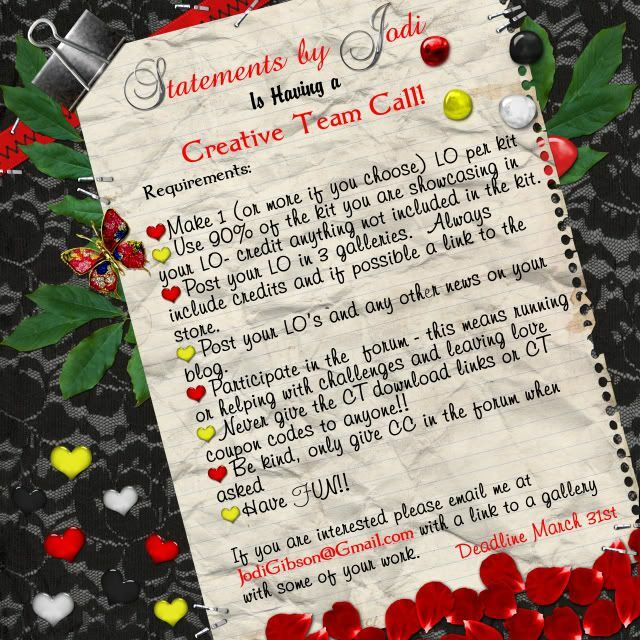 int(1) Statements by Jodi is having a CT call! Statements by Jodi is having a CT call! I am having a CT call too! I didn't know we could post here so I didn't even check when I was posting around. Sorry for the short notice! I will extend this till the 1st. It will take up to a week for me to pick through everyone so don't expect a reply from me for at least a week and a half!